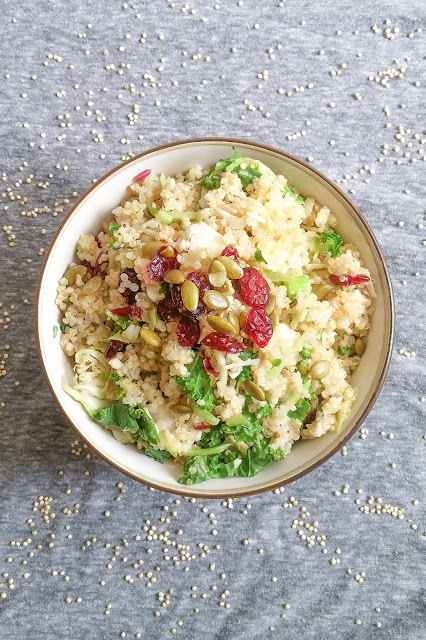 Quinoa (pronounced as keen-waah) is a protein packed grain looks a bit like couscous, is as versatile as rice and tastes delicious. I made quinoa salad yesterday for lunch. It was great. 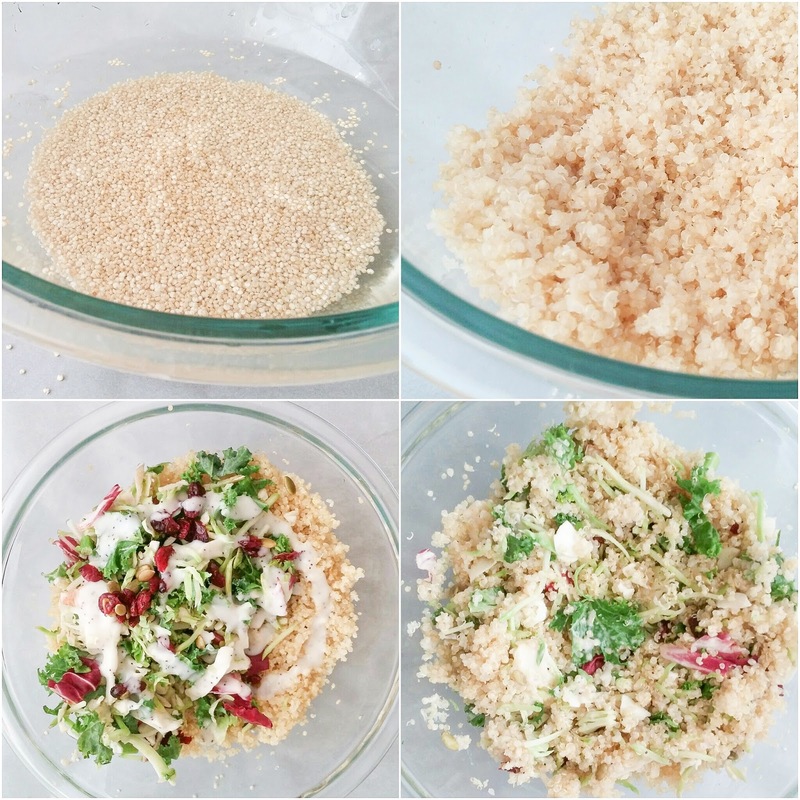 It is simple, quick, tasty, healthy and stomach filling recipe. Wash quinoa twice in running tap water. 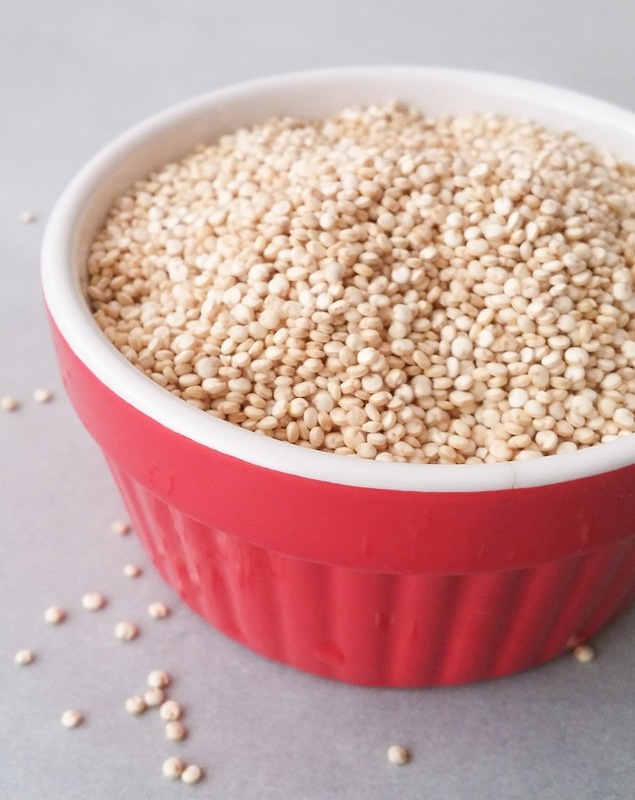 Take quinoa in vessel and add 2 cups of water. Close the vessel with its lid and cook until water absorbs completely. It will take around 20 minutes. Once it's cooked and remove it from flame and let it sit for 10 minutes. Open the lid and fluff with fork. 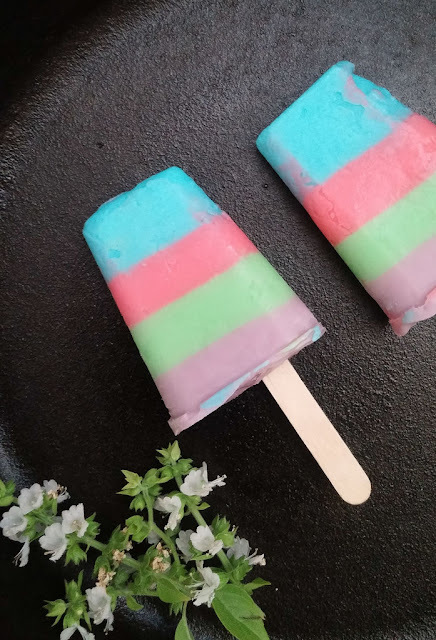 Let it cool down for sometime. 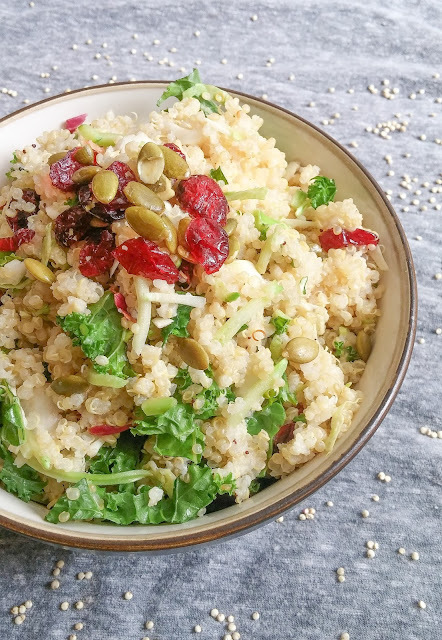 Take quinoa in a large mixing bowl, add in leaves, veggies, seeds, cranberries and dressing.